My friend Annie who frequents the boutique had some Steve Madden studded flats on the other day and they looked incredible! Since then, I’ve been obsessing for a pair of my own; the only problem is, there’s too many great styles to have to narrow it down to one pair. So, since studs are the “it” embellishment for the season, I figure a black flat, a leopard flat and a fun dress shoe covered with studs and spikes should get me through fall. Look for studded detailing on shirt collars, jewelry, handbags and more. Happy Monday! 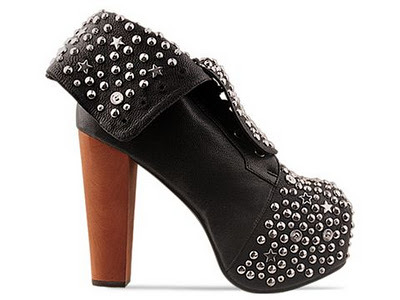 And keep your eye out for the studs!